Indian tikka (head jewellery) in 22k gold plated with mild antique and aubergine purple and mid pink. 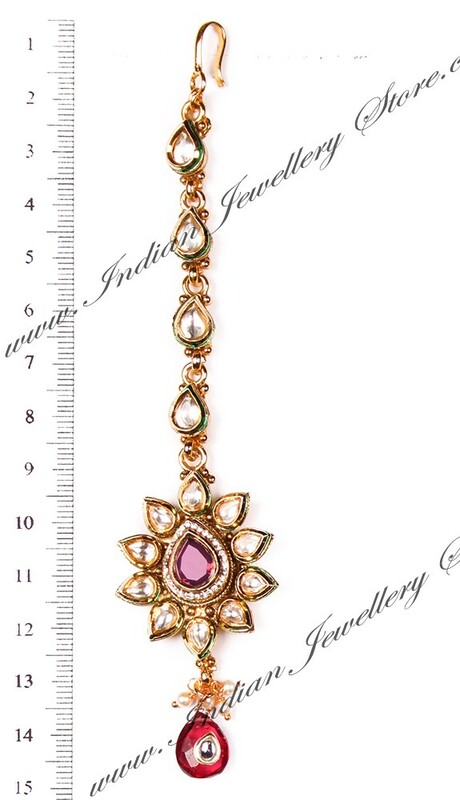 Set with kundan stones. With delicate hints of green detailing. Scale shown in image is in cm.